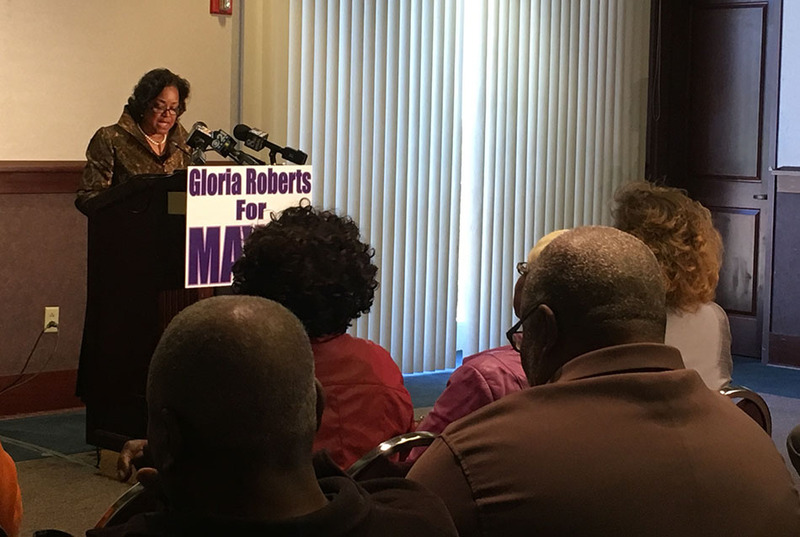 Former Harrisburg City Council President Gloria Martin-Roberts announced her bid for Harrisburg mayor today, saying that she seeks a unified, prosperous city. 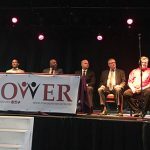 Speaking to an enthusiastic crowd of about 100 at the National Civil War Museum, Martin-Roberts said she would seek to build better community relations with the police, support small businesses and encourage home ownership. Her platform, with the slogan of “A City of Unity,” aims to include parts of the city that she said have been left out of Harrisburg’s economic growth. 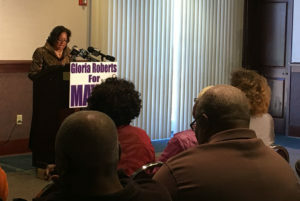 Former Harrisburg City Council President Gloria Martin-Roberts announced her bid for Harrisburg mayor today. The Harrisburg native, self-described as “homegrown,” grew up in the Allison Hill and Uptown neighborhoods and graduated from John Harris High School. She said she seeks to serve all of the Harrisburg community. “I do not have a favorite neighborhood,” she said. Martin-Roberts retired after two terms on city council in 2011, including one term as council president. In 2012, she ran for 103th seat in the state’s House of Representatives and lost to now-state Rep. Patty Kim. She also served on the city’s school board. Martin-Roberts took the audience on a trip down memory lane as she recounted local businesses, restaurants and medical offices that have since vanished from Harrisburg with suburbanization. The audience cheered and shouted as Martin-Roberts brought up cherished childhood spots like Martha’s Turntable, the Shake Shop and F&W Fish House. She called this period “economic development at its best” then added that she doesn’t want to return to the past, but rather return the spirit of the city. “The common denominator was a city of unity,” she said. A crowd of about 100 supporters cheered as she announced her platform. She praised former Mayor Stephen Reed, with whom she served while on council, for his efforts in rebuilding downtown Harrisburg. However, she does not plan to get involved with the school district like Reed did. 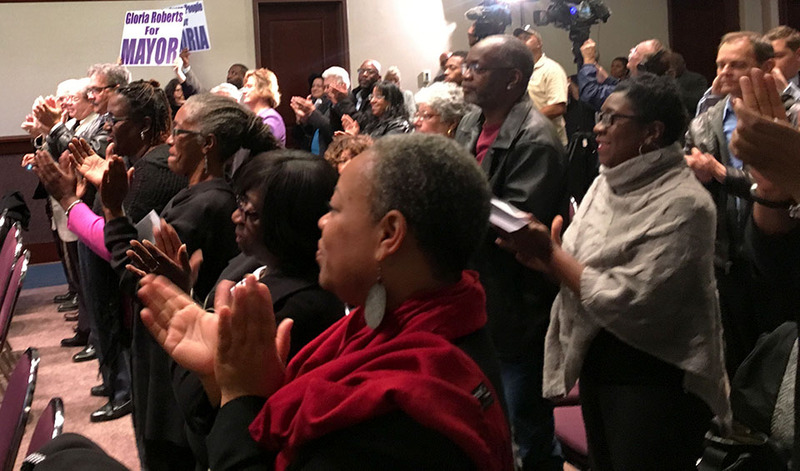 “I have no desire to take over the Harrisburg School District,” she said to big cheers. She had some subtle digs at Mayor Eric Papenfuse, repeating that she would engage civilly in disputes. The location itself at the National Civil War Museum held significance, as Papenfuse has repeatedly called for a shutdown of the museum. In another rebuke to Papenfuse, she said she would be a “consensus builder,” working closely with such entities as the Dauphin County commissioners, the Harrisburg Chamber & CREDC, the school district and City Council. “As your mayor, I will be an authentic mayor, a leader who I would want to follow,” she said.